Share Market on Thursday: The Nifty Pharma index gained 1.43 per cent as none out of 10 stocks advanced in trade. Stock Market on Thursday: Twenty-five out of 50 Nifty stocks were in the green. The domestic equity benchmarks swung between gains and losses after opening at fresh highs on Thursday. The S&P BSE Sensex started the session at 38,416.65 and the Nifty50 at 11,620.70. But the session soon turned volatile. At 11:54 am, the the Sensex traded at 38,329.16, up 43.41 points or 0.11 per cent and the Nifty50 at 11,575.20, with a gain of 4.30 points or 0.04 per cent. Twenty-five out of 50 Nifty stocks were in the green. Larsen & Toubro, PowerGrid Corporation, NTPC, Hindustan Unilever, and Tata Consultancy Services were the top Sensex gainers. The Nifty Pharma index gained 1.43 per cent as none out of 10 stocks advanced in trade. The momentum is clearly towards northern trajectory and the trend continues to remain positive, said Ritesh Ashar, Chief Strategy Officer, KIFS Trade Capital. "IT and pharma stocks can observe a bull rally due to weaker rupee. Structural strength is still intact and the benchmark index will continue its northern journey," he said. L&T surged after the board approved buyback of 6 crore equity shares of Rs 1,500 each, worth a total of Rs 9,000 crore. Reliance Communications Ltd was up 2.25 per cent after it said that it completed the sale of its media convergence nodes (MCNs) and related infrastructure assets worth Rs. 2,000 crore ($285.4 million) to Reliance Jio Infocomm. Asian shares slipped as a deadline loomed for fresh US tariffs on China and amid speculation US President Donald Trump's political position could be threatened by the legal woes of two former advisers. US and Chinese officials met for the first time in over two months to find a way out of their deepening trade conflict, but there was no evidence the low-level discussions would halt a new round of US tariffs due Thursday. MSCI's broadest index of Asia-Pacific shares outside Japan eased 0.1 per cent. Hong Kong's Hang Seng index fell 0.5 per cent while South Korea's Kospi eased 0.1 per cent. Japan's Nikkei added 0.2 per cent while Chinese shares were a bit firmer too. 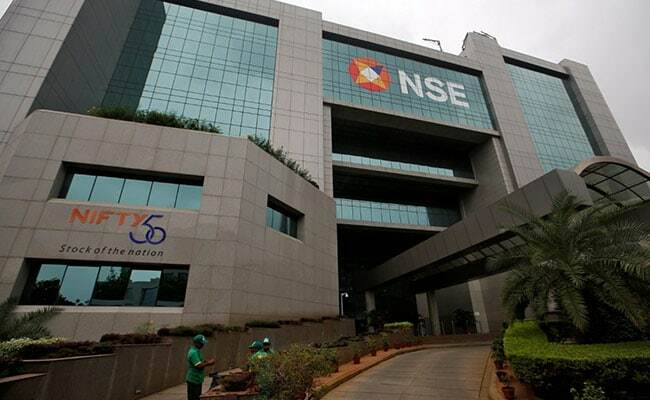 While on Wednesday, stock markets were shut on account of Bakrid, on Tuesday, Nifty and Sensex ended at fresh closing highs of 11,570.90 and 38,285.75 respectively.